The up to date advancement in DNA technology and analysis skills would not be possible without research and commercial organizations setting up superior DNA labs. It is these DNA labs that serve as the real force behind all of the innovations and breakthroughs as well as the widespread usage of DNA analysis and testing in a wide range of applications. Taking a break from these high profile DNA labs, in this article, we are going to demonstrate how a scientist or a team of biologists working on a small scale can build their DNA laboratory. Though the goal is not plain or straightforward, it only takes a single step to begin the journey of a thousand miles. 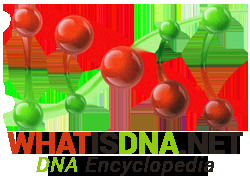 The starting point over here is a scientific research journal that is related to DNA technology. Apart from the guidance provided in the form of articles and research papers, this journal also acts as the foundation for building the circle of your contacts. Get to know others actively involved in your areas of interest and seek their guidance in selecting the right equipment, tools, chemicals and processes for your DNA labs. Seeking financial support for the establishment of your DNA lab is of prime concern. You do not want to leave half way through it. That’s why it is important to convince a university or college to aid the funding process or seek some help from the government regarding grants. You need the physical space where you will host all of your equipment and carry out with DNA analysis processes. Some of the equipment would include an autoclave that is used for sterilizing. You will also need a fume hood that allows for breathing in otherwise unsafe situations. While it is also important to have flow hood for making sure your sterilized objects do not get contaminated accidentally. DNA labs make utilize very high-class water; hence investing in a superior water system is an essential requirement too. These are the larger items and the quantity of smaller ones runs in big number. Working in your DNA lab, you’ll often find yourself confronted with the issue of acquiring primers. These are special sections on the DNA strand where the replication begins and thus are very important in DNA amplification and testing. Primers have to be kept frozen or they degrade. Therefore you need a freezer too and besides the primers, it will also be utilized for many other delicate substances too. Your DNA lab also needs proper storage facilities for genetic material such as blood, tissues and etc. Last but not the least, you’ll also require a powerful computer to aid your research as well as administrative activities.